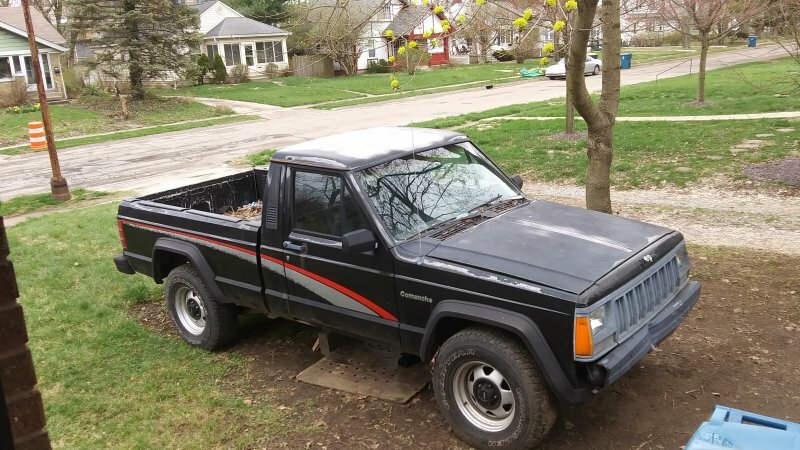 My 88 short wheel base 4x4 originally had just some floor pan rust and a little bed rust over wheel wells. This is how she has been sitting for 3+ years now maybe. I have been slowly picking at ever since it went up on jackstands. It didnt really have anything wrong with it when it was parked that was major. At the time I think I had around 5 or 6 street worthy jeeps. This one originally was parked to "build" and update. 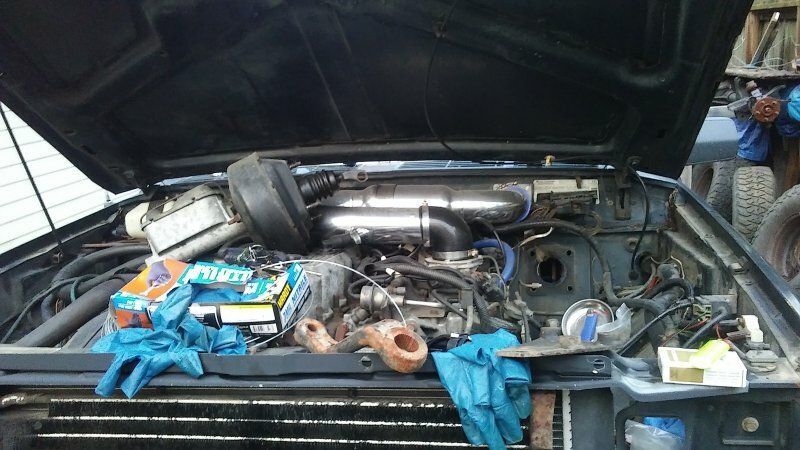 It kinda started with a valve cover gasket and ended up on jackstands with lots of new stuff under the hood. From what I can remember now is oil pan, oil pump, cold air, (I put all new stock egr in right before this😊), header, and valve cover. 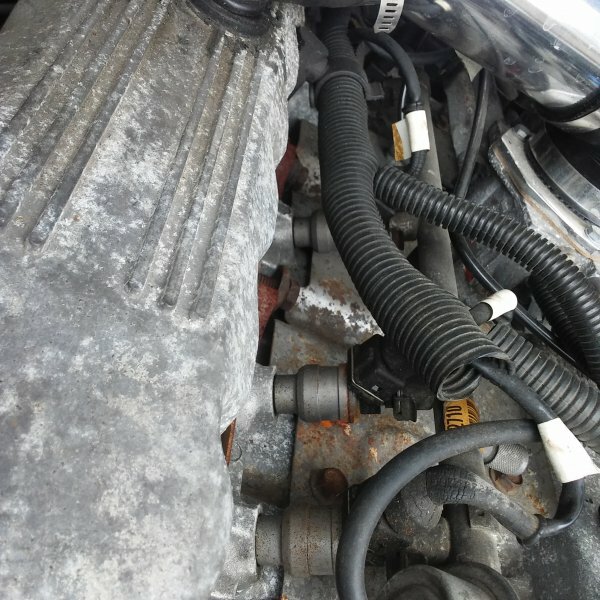 The coolant system was done maybe a year prior to parking. I know I rebuilt the drums before it was parked. It also has a complete new exhaust now though its just clamped and not welded. 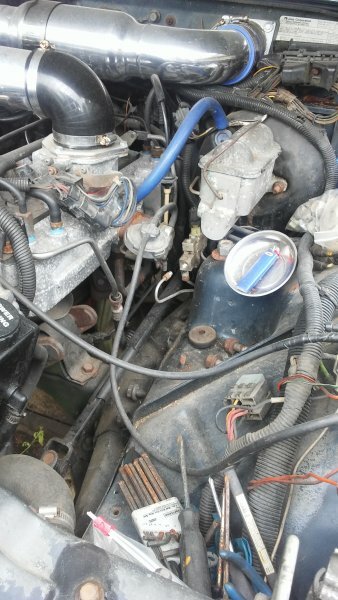 I just remembered the new injectors from I can't remember where online since its been 3yrs. 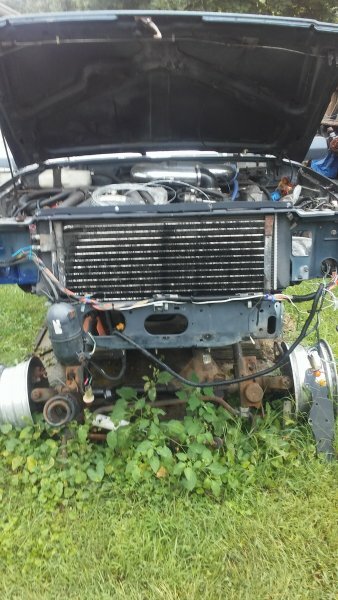 The project kept extending since there was no pressure to finish as I continued to acquire jeeps, parts, work was very good. Making $. Soon of course hit hard times. The heaps died one by one. 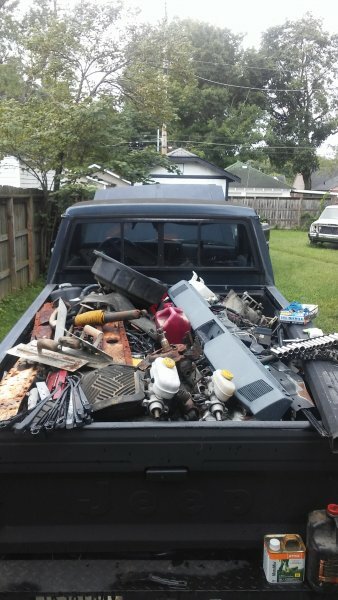 The piles and piles of jeep parts became so deep, I couldn't find things. Everything started to look like the back of that mj in every crevis of my house(which I have been remodeling), garage, basement attic, crawl, storage units(up to 3 at one time), the xjs and mjs all became storage units. Meanwhile I was in the process of getting married after being engaged like who knows 9 years I can't remember. I'm glad I got married on April Fools Day I won't ever forget my anniversary. I have parted out and crunched around a half dozen jeeps last year. 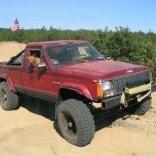 I have gotten rid of my last xj as of last week. 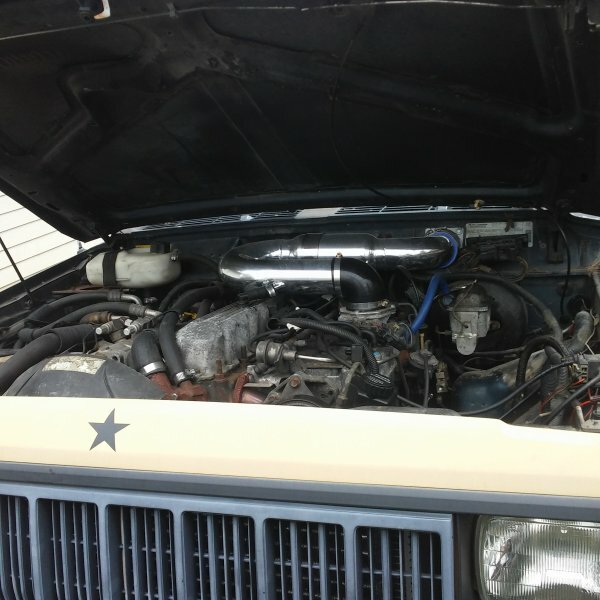 Thats 4 xjs since February. I have been busy. I have also been working on a near stock 86 mj as a daily since then. I am now turning my focus onto this pair to get roadworthy for now. I will start another thread on the 86 when parts come next week. Still waiting from Core 4x4(not a good first impression so far). 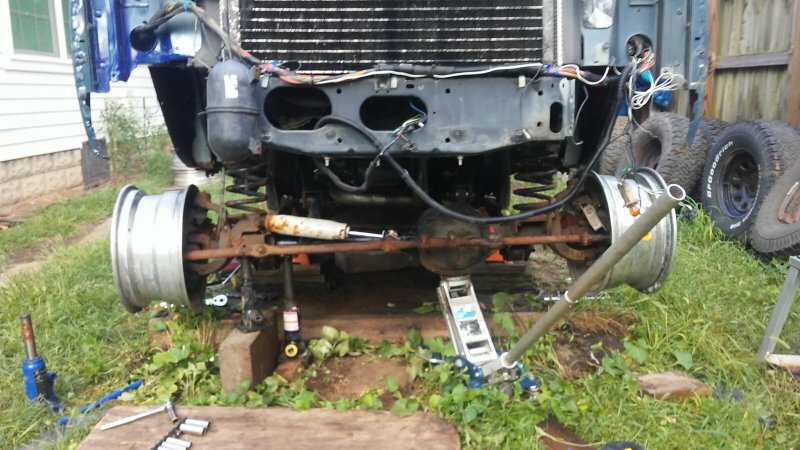 So of course I managed to swap like 5 front axles a week ago before the last xjs went out getting later 96 and up xj axles and ditched some quick discos and 2wd beams. So the first pic is one I'm parting too. 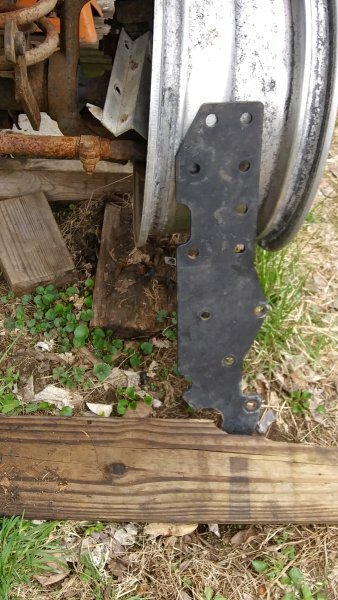 The 2nd is the axle that came from my last daily 2000xj. I know its low pinion, I don't care. It took all the abuse I ever through at it. I know its condition since I have changed and maintained everything the past 7 or more years and 65000+ miles on it. 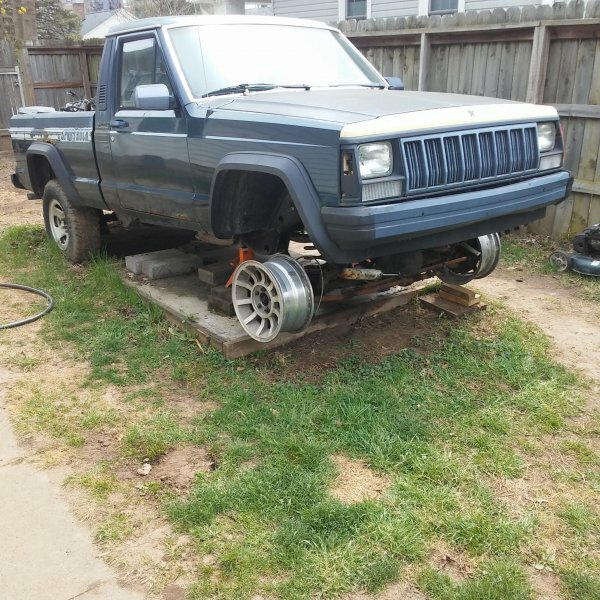 The last axle pic was a wj knuckle swap I started about the time I found Comanche Club a year an half ago roughly. I made quick progress and started to bolt everything up. Then came wedding plans etc. If I remember I was having problems locating the right lower ball joint grease zerks to clear the axle shaft joint/knuckle on the new wj joint pressed in. 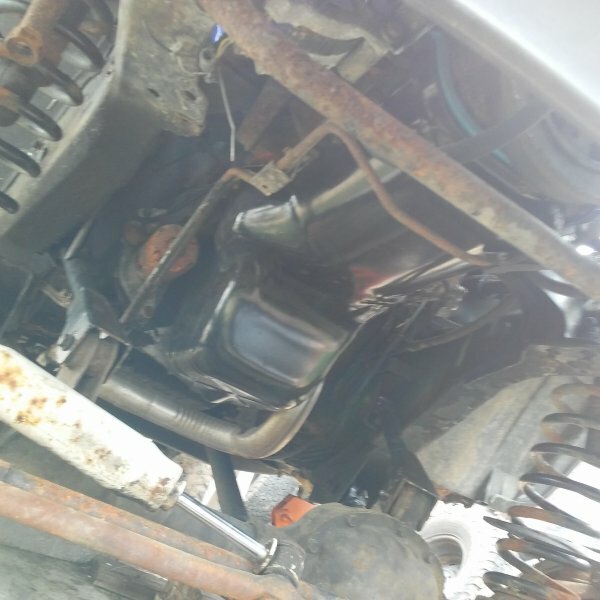 I think I just accidently found it last week at Summit of course it came right after I swapped the axles. I really want to build this mj up but for now need a daily. That is why I quick swapped my xj up. I'm gonna toss on the R.C adj. 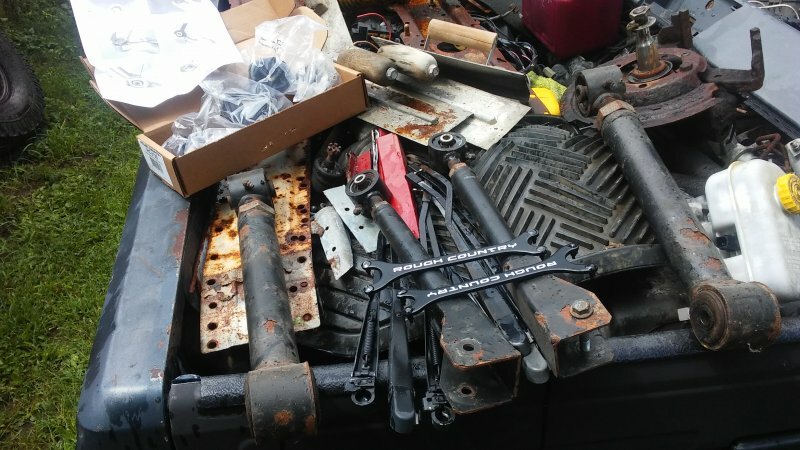 arms from the xj and front geometry for know and keep it at a 3" lift since thats whats here ready and bolt on done. Of course I think my pump is week since it doesnt want to barely stay running and cuts out if you dump the gas. I just sold 2 renix senders this past week too. Thank God I still got a few. So thats whats first next week. Pump and front axle. I am taking a break today, I'm tired of jeeps for the first time in over 10 years so I know to walk away. I got a boost this morning though when I was able to figure out pics for the first time. Of course as I'm pulling the fuel sending unit to swap pumps this morning, I remembered something. I sold the tail lights off this awhile back. Could I have disturbed the driver ground. Its just a loose screw as a test, but yep that was it. that little guy is very important. I ended up splicing into the pump ground wire by the tank and added a new ground on the frame rail nearby. 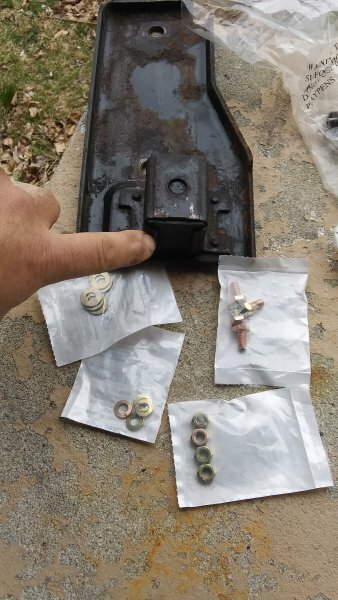 I have pulled 3 renix pumps from junkyards where people did the same thing by clamping a jumper from the sender housing fuel line. I thought wow thats kinda bawlzy. I'm sure the engineers thought it best to get that ground far away from the fuel as possible. Just see what kind of arc comes off when its rigged like I had it temporarily in the pic, scary to be next to fuel line like that. Especially on an old leaky tank. Guessing where I left off in the middle if not finishing what! 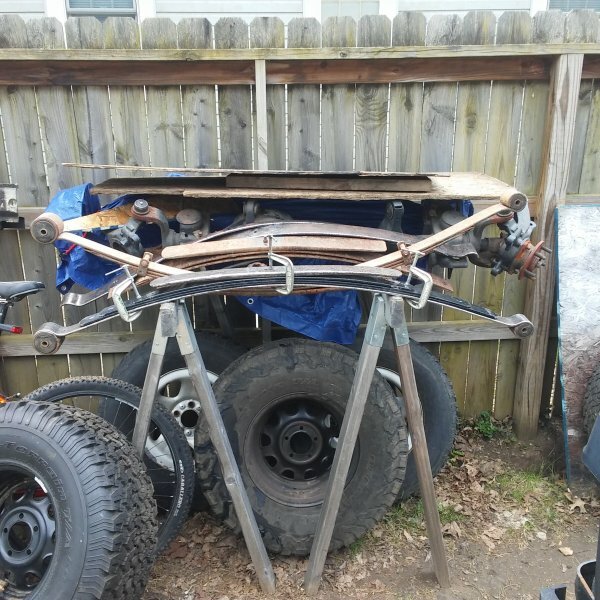 So far it looks like I was doing a booster swap, something with steering gear spacer, bumper, front axle swap and who knows what else on top of half a 95 xj in the bed that I gutted with a bunxh of mj stuff. 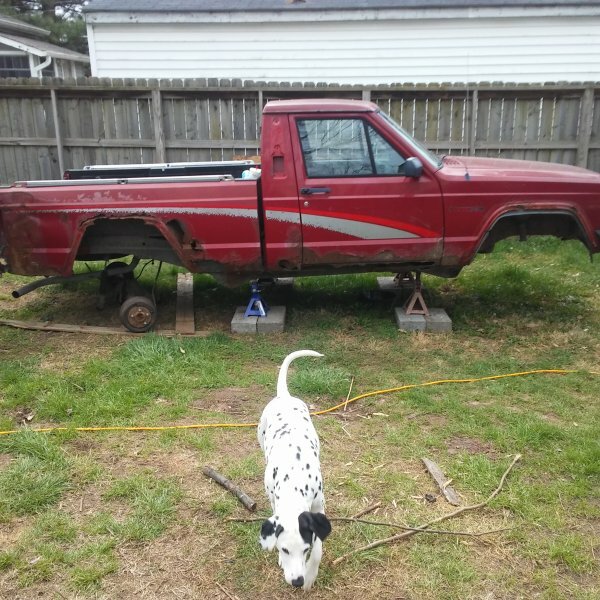 I don't know maybe id be better off workn on swappn the motor in the front yard on the other turd. ok control arms are back out for the 3rd time since I started this months back. Apparently I just found the wrench I was looking for months back when I ordered a new 1 since I couldnt find it with the joints. Time for some dew and a smoke. Wish I could say that was fun. This time I plan on greasing these this go around and maybe they would last 12 years. Nobody's fault but my own for failure on 2 of 4 arm bushings. People can say what they want about Rough Country but I think 2 of those joints went 30,000 miles without any grease to just start wear. I had to take a wire wheel to the ball swivel it was so bad. R.C. has never let me done or my friends that ran them. These arms have somewhere around 100,000 miles on them and this will be jeep number 4 they go on and probably out live again. They do finally need to be repowdercoated soon. When the pouring rain stops again, I will shoot for getting the front axle in. It appears I had managed to get new coil isolators installed along with new upper axle control arm bushings. I am still pondering what coils are in the dirt next to this. 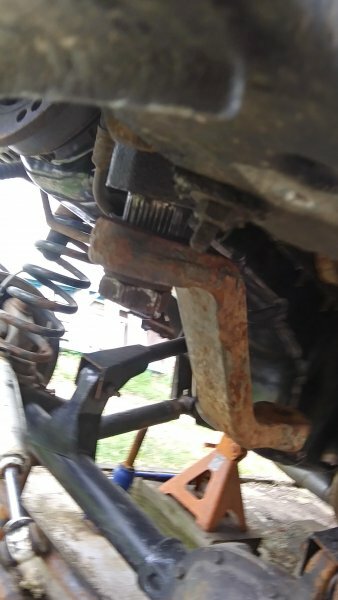 I pulled pitman arm and I think I was going to toss my lift from my last xj on here with its bumper and gear box bracing. I can answer Brandon/krustyballer now from when he was here. 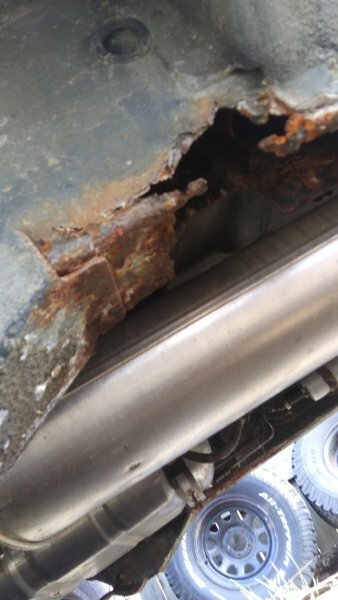 The other bumper bracket brace for the R.C. 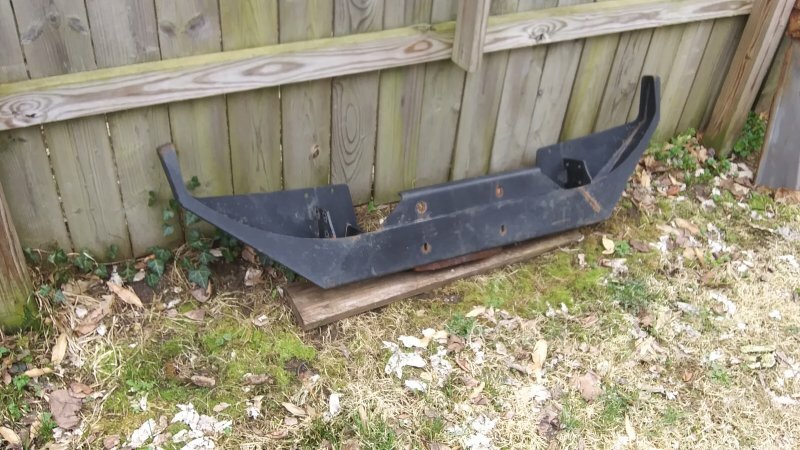 winch bumper I found in the dirt. Now I need to dig for the gear box brace! had a couple hours of no pouring rain and its back under linked up. 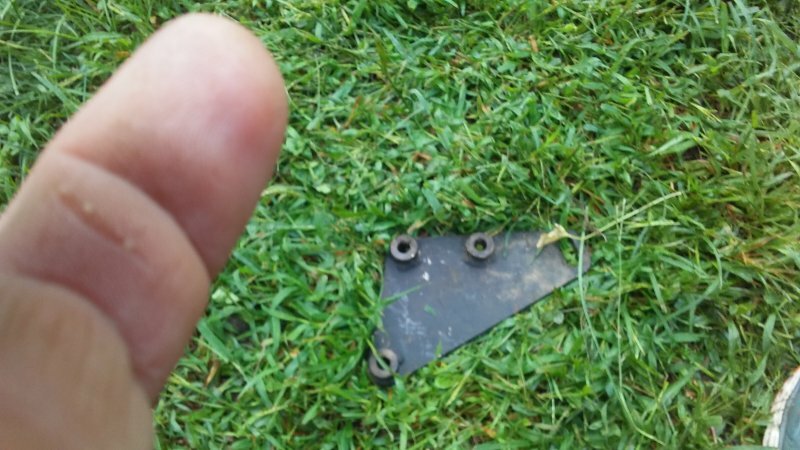 I'm hitting the 1st steering gear box stiffener next I found under the axle with grass growing over it. Dinner time says wife. Booster and master is out ready to swap in a dual that I found in garage. 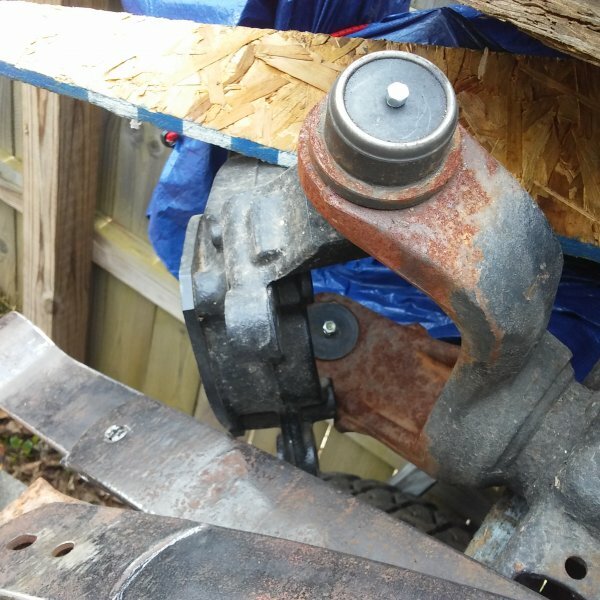 Going for that behind steering gear box brace and have to call it quits for the night since I have to run to Lowe's before they close to use the wife's Lexus for a lumber truck to stock up my jobsite for the next day. She is gonna be mad! she'll get over it looks like you're making good progress! Luckily I'm working across the street from my house for at least a week and I'm taking a quick break to post what I started doing this morning at 5 a.m. I went shopping in the attic for parts. Pretty honked off. 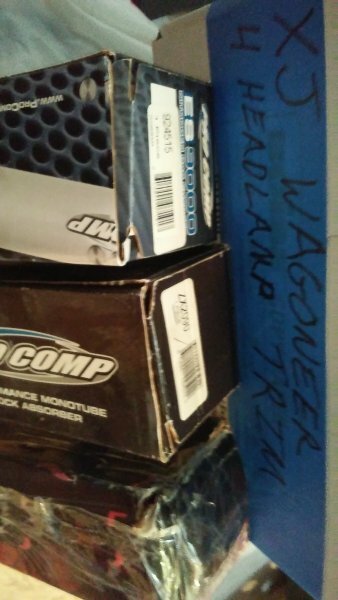 3 different times I have ordered these from 4wheel parts locally in past 3 years. None of these were suppose to have stem eyes. I have only run 1 set of those in like 10 years. My fault for trusting them. 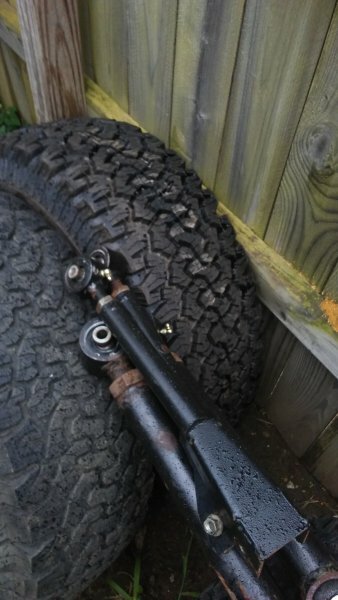 Every time I brought the old shocks in from a jeep I cut up with good suspension to have ready for the next 1 coming home. 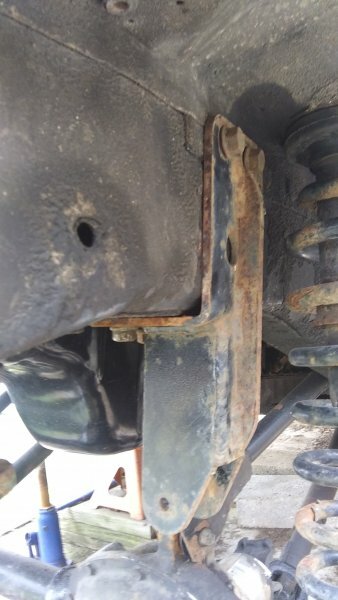 This seems to happen to me with 4 wheel parts about 9 out of 10 times with anything and I completely stopped using them. And best part is the fancy pro comps I ordered I thought were suppose to be Bilsteen. Again my fault for not paying attention being in a hurry. I guess we will have 2 measure exactly what I got since I have 0 faith in what was ordered. The skyjacker looks stock height and were warranty newbies along with the cheaper pro comps so at least I didn't pay for em since they came off of new 2 me jeeps😄. 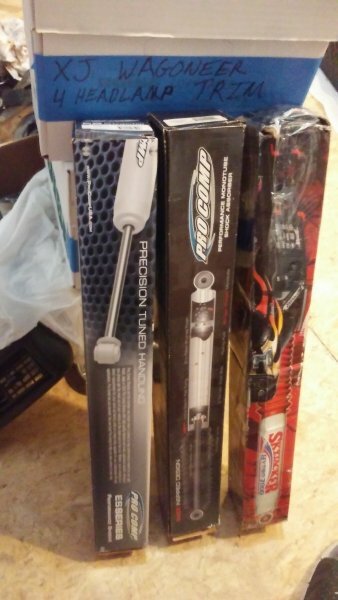 I'm guessing the middle ahock will work with my coils which those I'm guessing are old 3" lift. Worse case scenario I make some redneck bar pin eliminators. That should net an inch. 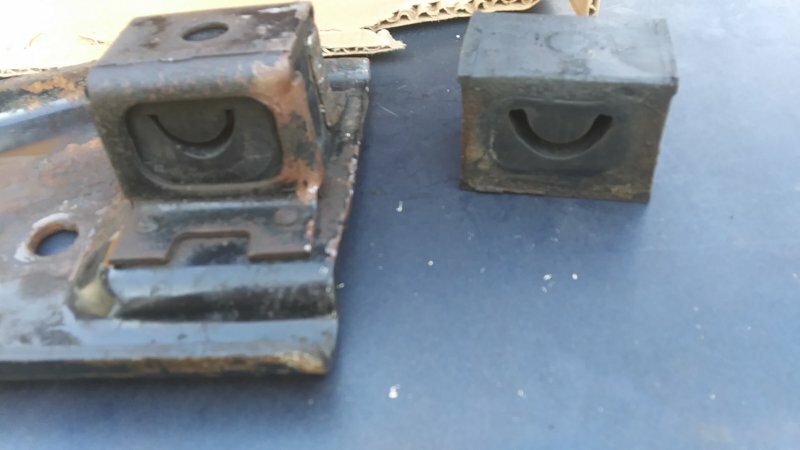 I know that is probably what the left 1 is but I plan on using those on about a 5" lift on another truck, besides it looks like not enough up travel with a lot of wasted down travel. The middle 1 should be closer both directions from a quick look at the housing body. Time to kick some dead horses around here again! The best part about projects is remembering where you left off and finding what you think you lost. I spent yesterday afternoon doing an hour of that and dove in. Just some back story first I started this in the front yard last Saturday evening. I'm waiting on the 3 dollar exhaust isolator I have but can't find. It looks good out there but I give it a week before I get a 30 notice from compliance. I hope that part comes quick. 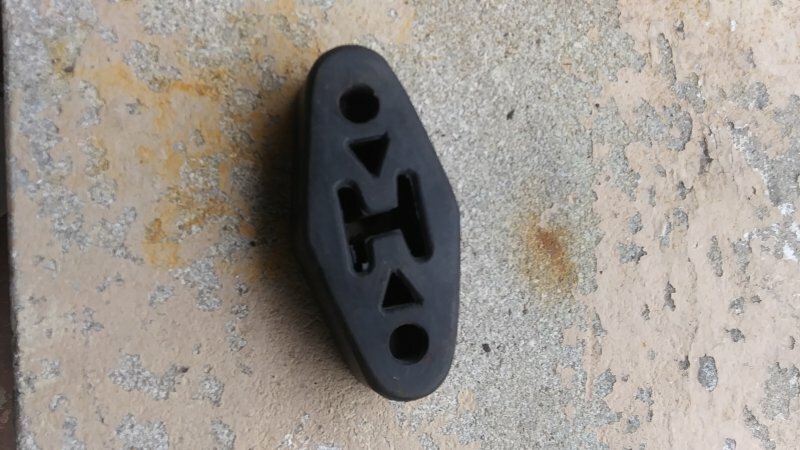 As for removing/replacing the isolator, I plan on ditching the rivets and using grade 8 bolts unless I hear otherwise it's a bad Idea. 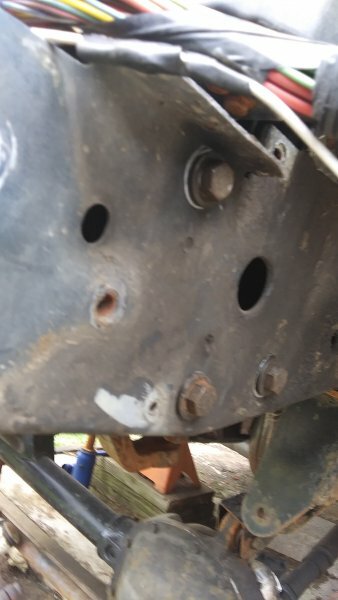 I least found the crossmember mount but missing a new exhaust hanger too. I think I can source 1 at the zone but not worried. So with some down time this week I'm working in my personal junk yard for once. So yesterday diving in the first thing I noticed was to bolt up the steering gear box and install the drop pitman. and I realized why I stopped before. 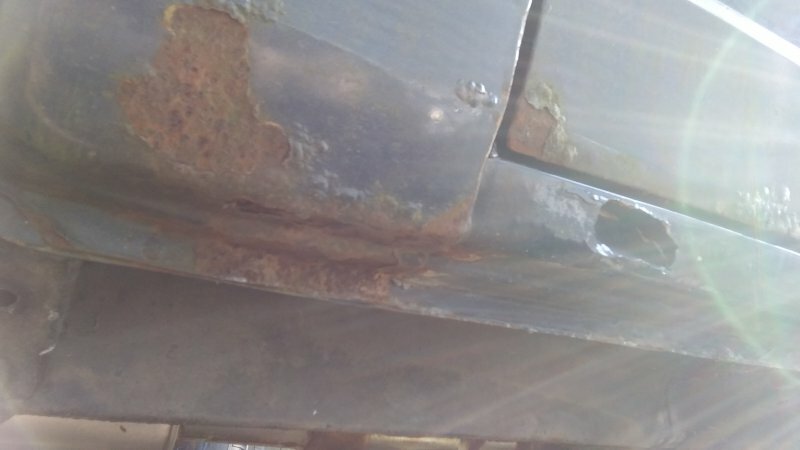 I needed to find 1/4" longer bolts to put the bumper bracket on first So this morning, I dropped my wife off and rounded up hardware after wasting 2 hours cursing digging through a pile of rusty crap in my garage to find nothing but tetanus. Now after pondering the setup I also realized that drop bracket is for 4-6" of lift. I just put stock new isolators on and used 3" coils with this axle. I remember selling Krustyballer the new 4.5 Rusty springs I had and the 1.5" used spacers I had planned on putting in the wj knuckle setup that I started in this who knows when prior. 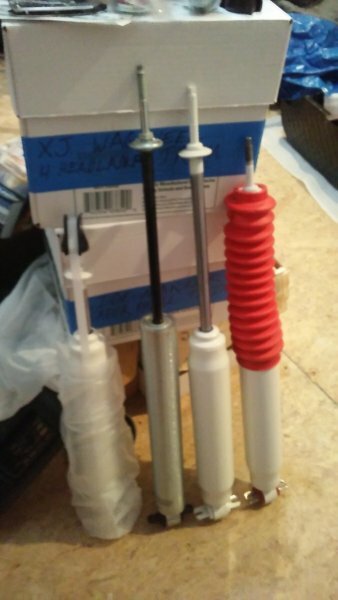 So I've fortunately have a new set of 5.5" Rubi coils I'll get to start over and swap in. 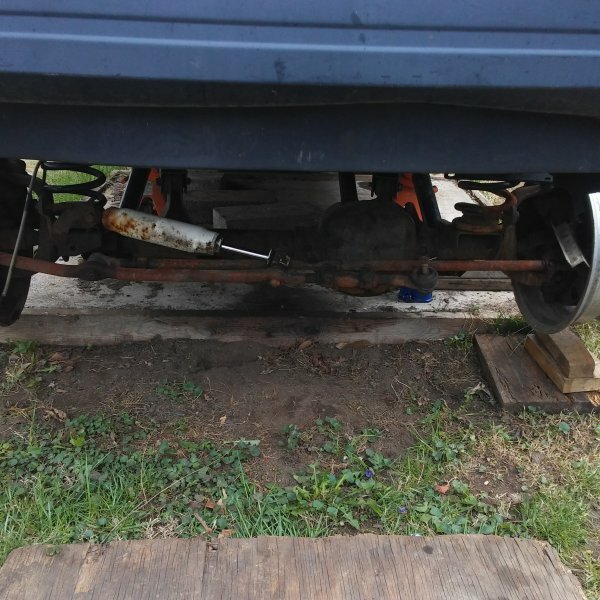 Fortunately for me it looks like I never tightened down the control arm bolts yet since they will need to be readjusted for length now too . So far today I updated my story, told some others, gotten back with people about parts and my actual work, tracked down nuts and bolts. 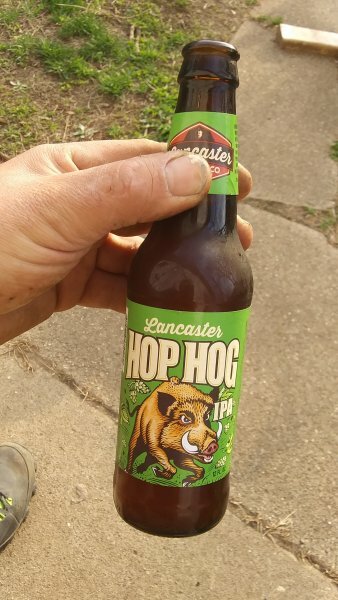 I now have a half hour before I have to go pick up the wife from work. I might actually get a couple hours back in on it tonight but I doubt it. 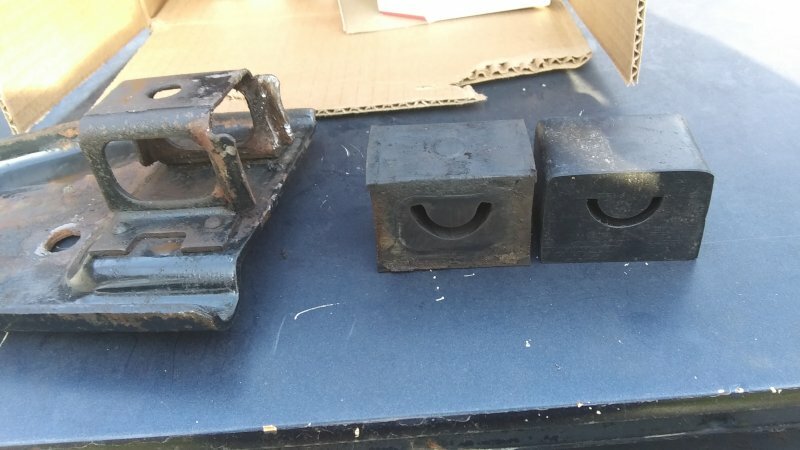 So these came about 30 minutes ago for the new front yard sculpture as mentioned earlier. Of course recognized the box after opening and know right where the 1 I looked for that I had is. So 6 spare now. So take it as a lesson learned boys don't let them sit! 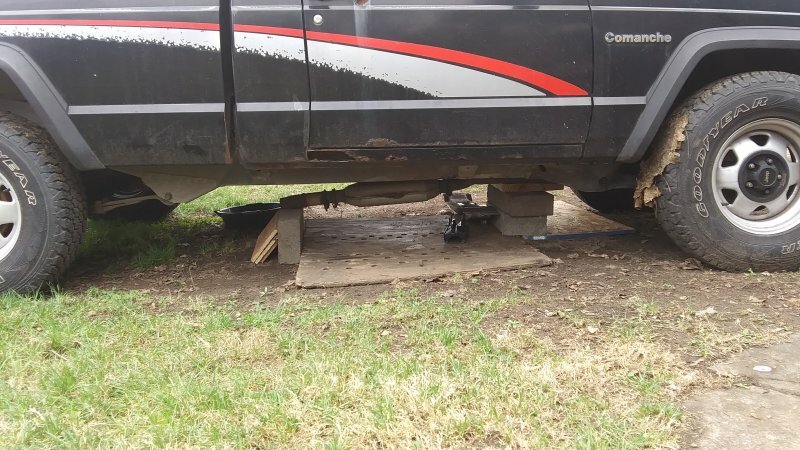 Been on jack stands at least 2 years. That rear leaf mount I can wiggle. 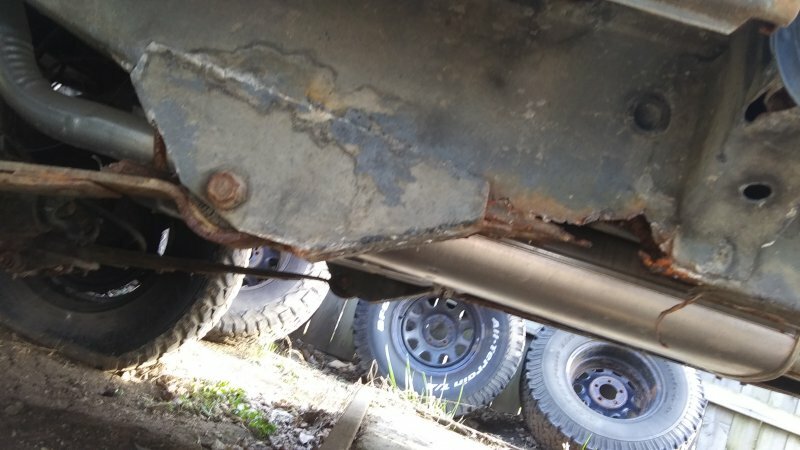 It's all down the unit rail in seam on passenger side, and the floor pans are 1 step from this here sasquatch sitting in from being the new Flinstone Jeep. So it's getting parted. 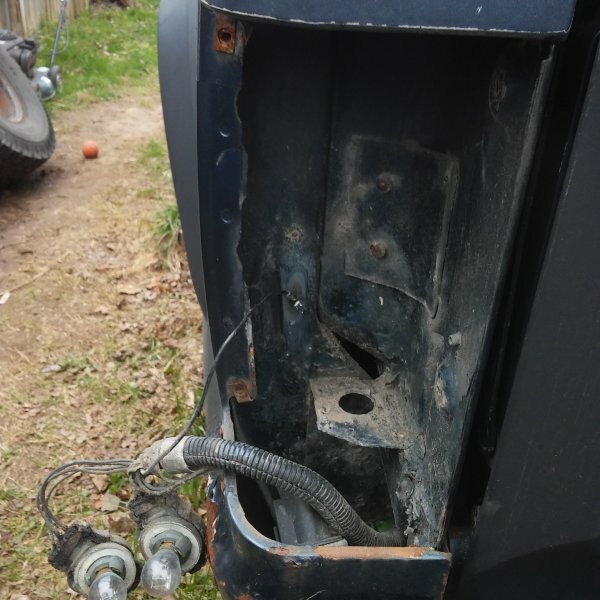 I'm hopefully can get the front yard art back together by the end of the week and see if the clunking in it and hard shifting was from half the missing bellhousing bolts and sheared transmission mount. 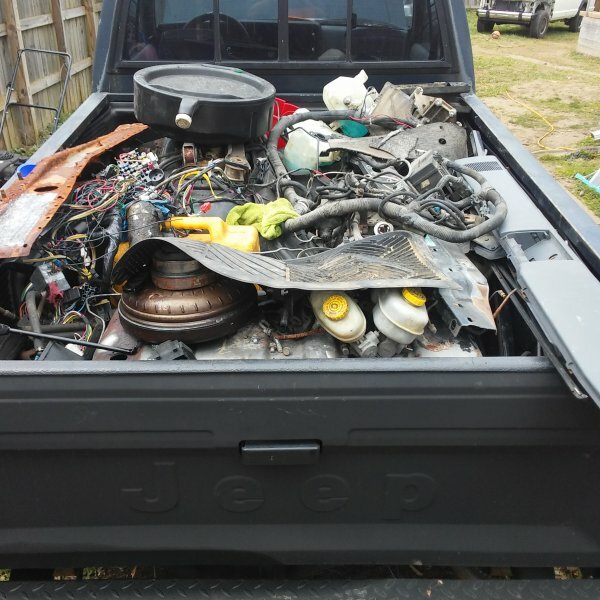 If so I'm hailing scrap with it left and right getting stripped and the xj. I'm actually released since I will be able to get a driveway way sooner with it out of the way along with the 7 others last year that have been keeping from doing so. I'm still sad and it's killed my mojo for the night. I hate to cut up mos and she is my first 1 that took me 5 years to find. It's too much work to save, I have others and it's time to move on.